I've been collecting since the 1960s. And don't forget the terrain, equipment, and vehicles that go with them, in periods from Medieval to WWII. (Actually, I do use 50 figures as units in some of my period rules). I haven't even quite finished counting them all yet! Just pointing out that I'm not against minis... I just usually seperate my minis from my board games, which is more typical of my generation of gamers. 50,000 54mms! How to do you store them? I have about 150 54mm and around 10,000 28mm and I run into storage issues for figures, let alone terrain and vehicles. Ive been thinking about building some 54mm terrain for games in the garden (Boltaction or Mordheim), but the wife is not so sold on that idea yet. I only have about 5000 minis or so, and I thought I had a plastic problem. Usually one unit per shoe box. I have no family, so my two bedroom apartment is full of shelves of gaming material. I do have many mini oriented board games also at this point, but just started recently in a limited way (and will very much keep it so) with Kickstarter--which has its good and bad points. I love mythology though, such as Cyclades (Greek), Kemet, (Egyptian), and Inis (Irish Celtic). But Blood Rage and now Rising Sun are my favorites in the genre! Any chance for a picture of the shelves and inside a shoebox? I am honestly having trouble picturing how huge that must be. You have inspired me to go back and catalog my Britains Deetail's and see what I need to get a game of Tomahawks and Muskets going. Indeed. Once you play with little plastic figurines its hard to go back to cardboard standees. For me anyway. I think that this is what kept the System 7 Napoleonics concept from really taking off. The idea was a good one -- the vast majority of the investment in Napoleonic-era miniatures gaming is in the cost of acquiring the miniatures for your forces and the time/cost of painting them correctly for the units they represent; System 7 proposed to replace them with cardboard counters printed in the units' primary colors, The counters would be much less expensive to produce, while retaining the same colorful appearance on the battlefield. However, the unit counters, no matter how brightly colored, don't carry the same visual effect as painted miniatures. 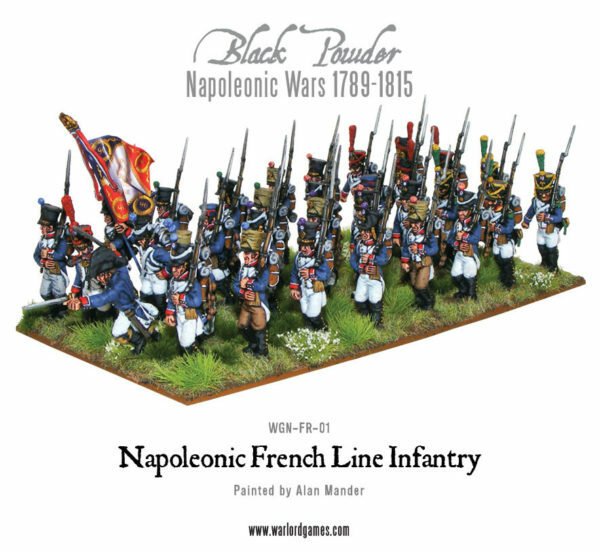 Systems 7 Napoleonics? You must be a lot older than your Avatar (like me)! That's why I play Commands & Colors Napoleonics. Since we have to wait a year for RS, and CMON has said there will be no game crossovers, this looks like fun! As Eric Lang has said he's going back to BR, I hope he'll 'unbind' the gods there, as he has for RS, so they can have a direct participation in the game. The draft rules book for Rising Sun has now been posted in a KS Update. This may help you decide about it a few days before it ends. It looks good to me! I'll probably make monster spawn cards for all those cool dragons and demons for Massive Darkness. They already put an oni in the dungeon game. It kind of makes me want a whole dungeon full of Oni.